To Your Good Health. Give Me a High Fi-Ber! We are trying to lead a healthy lifestyle. Doctors advise us to avoid processed food, take vitamins, and to exercise on a regular basis. Part of leading a healthy life style includes including plenty of fiber in our diets. Most men and women consume only 15gms of fiber a day. The daily recommendation for men is 35gms daily of fiber and for women the recommendation is 25gms. You can increase your fiber by 7gms a day by increasing vegetable and fruit consumption by two portions a day. Good sources of fiber include what, rice, oats, barley and beans. Also fiber can be found in nuts and seeds, carrots, cauliflower, citrus fruits, strawberries and apples. Bottom Line: High-fiber foods are good for your health. But adding too much fiber too quickly can promote intestinal gas, abdominal bloating and cramping. Increase fiber in your diet gradually over a period of a few weeks. This allows the natural bacteria in your digestive system to adjust to the change. Finally, drink plenty of water. Fiber works best when it absorbs water, making your stool soft and bulky. Urinary incontinence is a condition that significantly impacts a woman’s quality of life. Many have tried medical, non-medical, and surgical solutions. However, there is one sure way to improve control of urine loss and that is weight loss. Weight-loss surgery appears to have an additional side benefit — it may improve urinary incontinence symptoms in women. A study found that nearly half of women in a weight-loss surgery program reported having incontinence prior to the procedure. After surgery, most of those women said their urinary symptoms either improved or disappeared. The women “lost almost 30 percent of their body weight, and about two-thirds who had incontinence at the start were cured at one year with that amount of weight loss. Among those who continued to have incontinence, their incontinence frequency improved. The women included in the study were severely obese, with a median BMI (body mass index) of 46. (Normal BMI is 25 or less. A women who is 5 feet 4 inches tall who weighs 268 pounds has a BMI of 46. Health experts refer to obesity and incontinence as the “twin epidemics.” 25 to 50 percent of women have urinary incontinence. Of those, 70 percent are obese or a BMI greater than 25. There are several types of weight loss surgery — also known as bariatric surgery. Most of the women in the study had procedures known as Roux-en-Y gastric bypass or gastric banding. The improvement in incontinence symptoms continued during the study follow-up. Both the weight loss and the improvement in incontinence lasted through three years. At year three, [about] 60 percent had remission. Remissions were defined as less than weekly episodes of incontinence. A quarter were completely dry. The amount of weight loss was the strongest predictor of whether incontinence would improve or go away. Losing more pounds made urinary symptom improvement more likely. In a previous study, a six-month focused program of weight loss and diet information helped reduce incontinence in obese women better than four weekly education sessions about weight loss and physical activity. 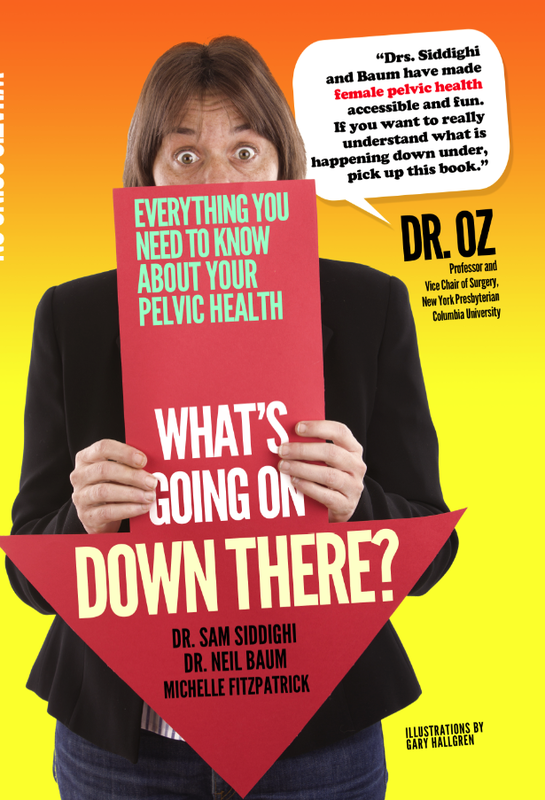 Personally, I have patients who have lost weight and it ended their stress incontinence. Those who lost by nonsurgical means also noticed improvement. Weight loss improves leakage, probably due to less pressure on the bladder, less weight pressing on the bladder from above and beside. So it stands to reason that bariatric surgery would also benefit the problem of incontinence. Like all surgeries, bariatric surgeries are not without risk. The procedures are accompanied by possibility of infection, blood clots and heart attacks, among others. Costs for the surgery range greatly, from about $12,000 to $26,000, but are sometimes covered under insurance policies. Bottom line: Incontinence affects millions of American women. Many women who are incontinent of urine are also overweight. A weight loss program may result in improvement in urinary incontinence.